Magento is one of the big dogs of the eCommerce Platform world, so if you’re looking at using it to build your eCommerce website then you may need some help from a web development agency like Foundry Digital. It requires some hefty integration and you might not have the shopping cart configuration experience, but we can help! 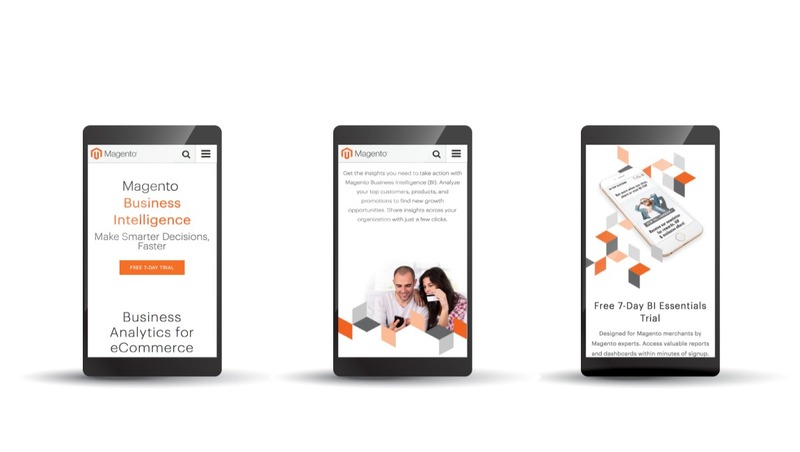 Let us share with you some of the key benefits of using Magento for your eCommerce website. Most eCommerce websites start off life with WooCommerce or Shopify foundations. As eCommerce websites grow in size and customer-base, these platforms can become limiting and not powerful enough to sustain your large number of orders and amount of attention. If this sounds familiar, congratulations! You’re making it in the big leagues and you’re probably ready to upgrade to using Magento as the platform for your eCommerce website. 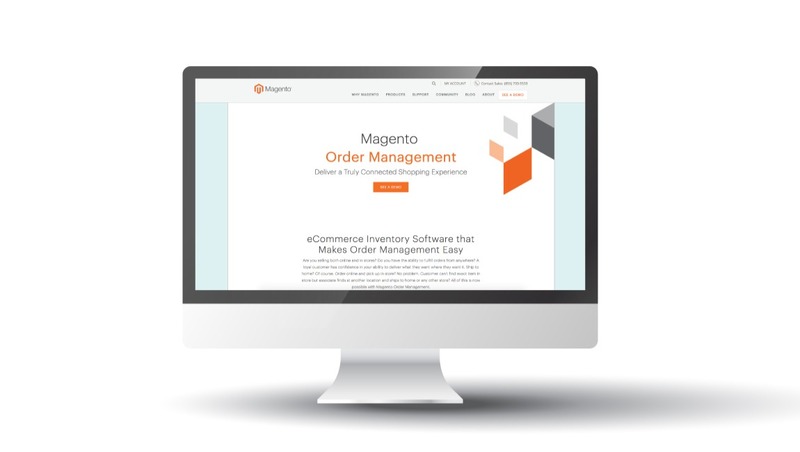 In this article, we’ll walk you through Magento’s products and a handful of their features so that you can get an idea as to why this is one of the most powerful eCommerce platforms around. Magento Commerce is a hugely powerful tool that comes with a number of gadgets and gizmos, bells and whistles, and pretty much every kind of party trick you can expect, which is why the big brands like Burger King and Coca Cola use them. Magento also offer a number of packages bespoke to different aspects of the eCommerce journey which we’ll go into more depth on later in this article. For now, here are some of the advantages you can expect to give your eCommerce website when you choose to use Magento. Deliver the best customer experience by deploying your Magento store with Magento Commerce Cloud. Targeting the beginning of the purchase process, this package will be handy when it comes to managing your customers’ orders. It ensures that you deliver the best Customer Experience throughout the order process, which in turn will boost trust in your brand and mean more conversions down the line – great! 14% increase in acceptance rate over industry average. The power of social media is booming and people are slowly but surely getting to grips with what it has to offer. When it comes to promoting and selling your products it is no different and you should be taking advantage of the tools available to help you make the most of their business and advertising opportunities. Magento Social is one such tool, designed to help you make the most of your social media platforms to boost your business. Foundry Digital can also help to boost your brand’s online presence and reputation with our variety of Digital Marketing Packages. Consumers are using social channels more than ever to engage with brands and buy products. Turn your social media profiles into eCommerce-like platforms and gain an edge on your competitors. Create enticing ads and sync your product catalogue with your Facebook profile and start selling, it’s that simple! Use your social media platforms to sell, and do it well with a strong social commerce strategy. This will not only strengthen your brand but also encourage your customers to become advocates. We all know what it’s like to be persuaded to buy something because we heard from a friend how great the product is. This applies to your business too! Make sure to give your loyal customers the chance to share your products on social media so that they boost your brand’s reputation. Magento Social is a machine learning tool that can help you to pinpoint your target audience and deliver results that are more personalised to them. If you’re a stats kind of person (which, if you’re in business you probably are) then this package will be right up your street. 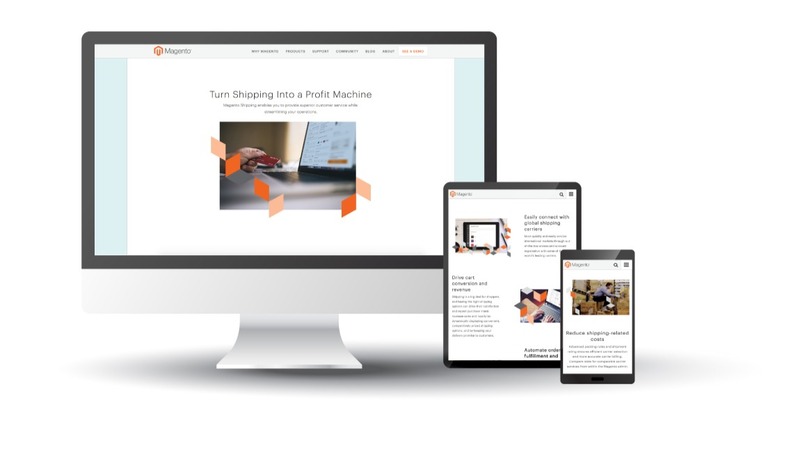 Magento Business Intelligence offers what it says on the tin and so much more, allowing you to really get to know your customers and figure out the best strategies to up conversion rates and sales. One of the packages that Magento offer is targeted specifically at improving the delivery side of your business. It provides you with a number of tools designed to streamline the process in between receiving a customer’s order to ensuring that the delivery arrives on time. Not only this, but they also provide a level of insurance coverage should you have any issues. Go global with your products by using account registration with the world’s leading courier services. Everyone understands the frustration when an order doesn’t arrive on time, and how this influences your opinion of a brand. Avoid customer disappointment and increase sales and loyalty by dynamically displaying convenient, competitively priced shipping options, and by keeping your delivery promise to customers. Compare rates for courier services within Admin Settings, and streamline the whole shipping process. Magento has got your business covered for the whole purchasing process. Using Magento Social can turn your social media platforms into eCommerce websites, whilst Magento Order Management and Magento Shipping take care of the buying and delivery process. Round it all off with some in-depth customer behaviour analytics with Magento Business Intelligence and you’ve got a smooth customer journey! At Foundry Digital, we have used Magento to build a number of eCommerce websites that have gone on to form successful businesses. Over the years we have found that it has progressed well and really stood the test of time. With regular updates being provided along the way, this platform allows for a robust and trusty eCommerce website to really take off in the online world of commerce. We’ve taken time to get to know this eCommerce platform and can vouch that it is a major player, and if you want to find out more about why we think this why not get in touch today with your eCommerce project and find out how we can help you.